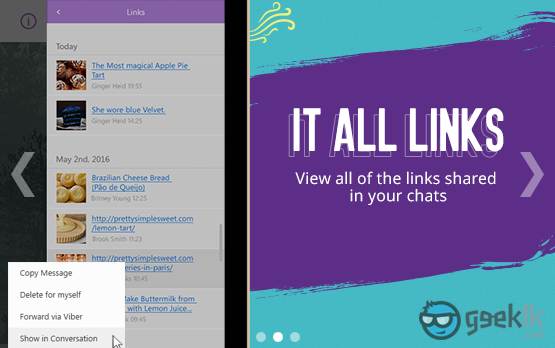 Viber is by far the greatest desktop app (instant messaging) I’ve seen after Yahoo! messenger. At least that is what I feel when using it. And the best part of it being the coolest while having the required features pushed with each and every update. According to the official support, they have released some of the features which I would say that every one will benefit. On another note, there are many points to argue between Viber and WhatsApp as they are being the most successful and competitive IM’s available online to date. 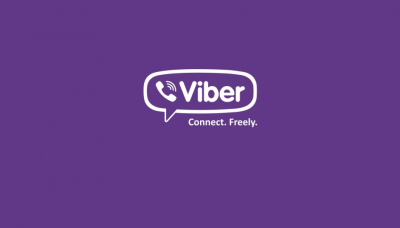 Anyhow, regardless of the features offered, what I really like about Viber is that all the devices which are connected doesn’t really require being online to receive message on each devices. Thus, whichever the device(s) is online will receive the message on a first come, first serve basis while the rest receives upon connecting to the internet (to keep all devices synced), which is actually a good one but annoying at times. 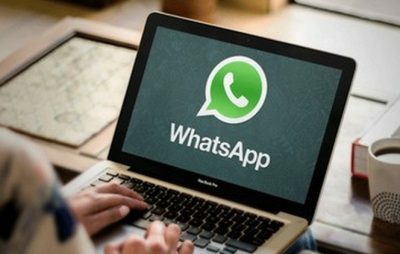 However, I though that WhatsApp might come up with something similar but I have lost the faith after looking at their Desktop release which is pretty much a web rendering on to a piece of Application. Chat Info Option – This allows a user an easy navigation to the chat information with a quick yet a simple click (available next to the call option). 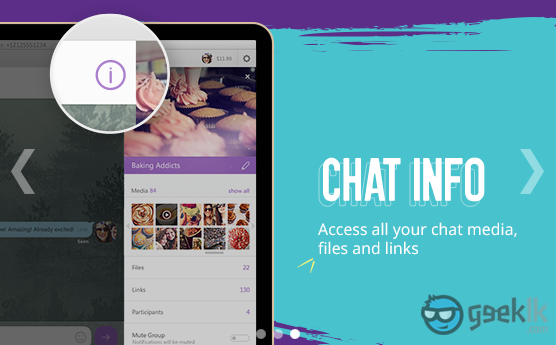 Upon selection allows you to further selected and review the chat information on a single glance such as chat participants, delete conversation, media view in thumbnails, files… etc. Access to Links – This is a useful feature which allows to review and refer links shared within a conversations regardless of it being group or an individual. You can further do a simple right-click and review available options such as “show in conversation” takes you to the past conversation. Media Gallery – Absolutely a magnificent feature and loving it. 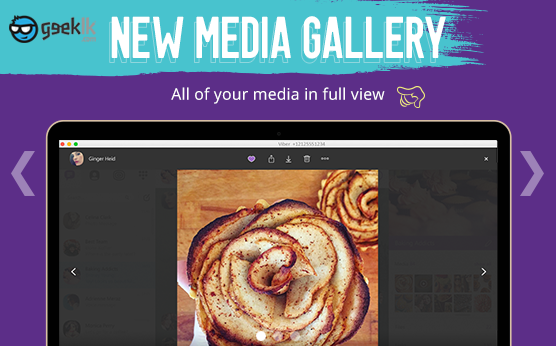 Gallery simply makes our lives more easier to focus on the image rather than it being opened on your native image preview application. Best bet it being “Gallery” as you can navigate to past shared pictures without actually going into the conversations. Above all, the desktop app is so convenient where a user can simply copy and replace the backups just with few simple steps.